I don’t know about you, but ever since becoming a parent, I have felt an overwhelming pressure to get it right. 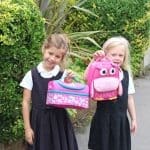 Be that the right nursery, the right pre-school and then the right primary school… it never ends. 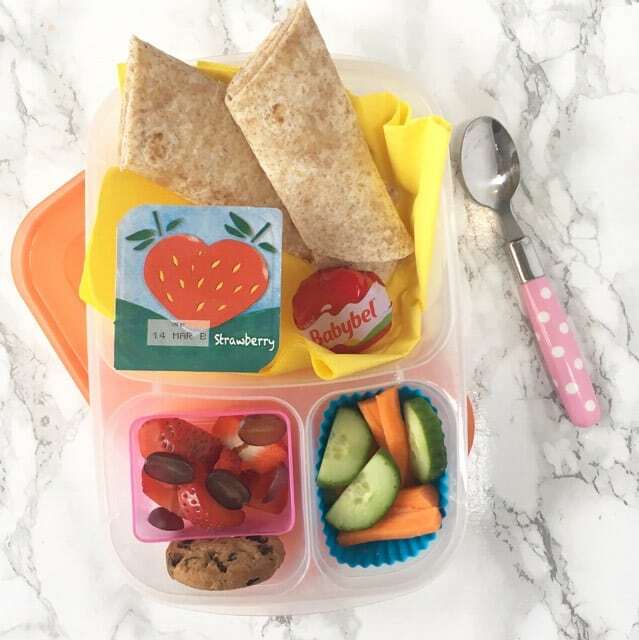 My small person has only just turned 3 and since starting longer days at pre-school last week, I’ve been faced with a new and rather unexpected type of anxiety … the Lunch Box Anxiety! Filling it. Not just filling it, but making sure I put all the “right” stuff in it. But what constituted the “right” stuff? There was no standard issue “lunch box rules” list that I could follow. If I didn’t get it right, would I be called into pre-school to explain myself? Would the other parents be talking in hushed voices about my lunchbox skills (ok, slightly over dramatic, but you get the gist!). This really was bothering me. Now don’t get me wrong, I like to think I’m a reasonably intelligent person and as a family we do eat pretty well most of the time but I really did feel like the filling of the Lunch Box was a minefield to be trodden most carefully. For the first couple of weeks I filled her lunch box with all the fruit and vegetables in the land because I felt like that was what was expected of me. 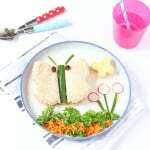 I knew that some of it wouldn’t be eaten because quite frankly that wasn’t really what I would give her for lunch if she were at home but sadly I was worried that I was being judged on what I was sending my child to pre-school with. 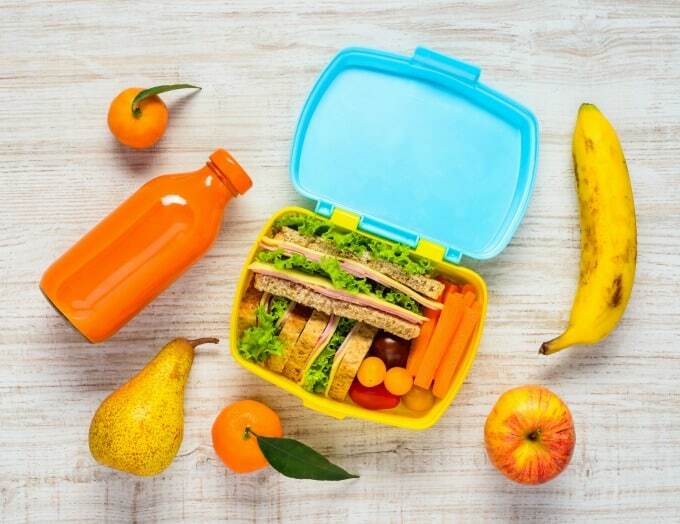 As expected, the lunch box came home still containing not all but some of the fruits and vegetables that I had filled it with, but at least I hadn’t been called in to explain myself and it didn’t appear that the other parents were giggling in the corner at my ineptitude! I was faking it. Not completely, but partially. If the small person was eating at home, then as long as she had eaten some fruits and vegetables with her sandwich or wrap then she would also be allowed a small amount of chocolate or popcorn or crisps. So why was I not giving it to her at pre-school? On week three, I bit the bullet and added a small Kinder chocolate bar into the lunch box and spent an anxious few hours awaiting her return. To my absolute delight, not only did my small person eat ALL her sandwich, and ALL the fruits and vegetables in the box, I didn’t get told off by the lunch box police! We should worry less about what other people think about what we feed our children. We shouldn’t be demonising food groups. It’s all about getting a healthy balance of ALL the food groups. And that for me includes chocolate! Food should be fun and something to be looked forward to no matter what age we are. As a parent, of course you want to be the very best parent that you can be and do the very best for your small people, but I think sometimes we need to give ourselves a bit of a break and worry less. We shouldn’t have to beat ourselves with the guilt stick when we don’t tick all the other boxes that the media/other parents/grandparents/ in fact anyone else, is expecting us to fulfil on a daily basis. Let’s banish Lunch Box Anxiety. 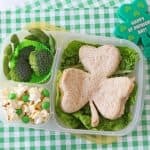 St Patrick's Day Lunch Box for Kids! Totally agree with this! I’m all about balance in all aspects of parenting and I agree that we do put too much pressure on ourselves sometimes. Thanks for sharing.